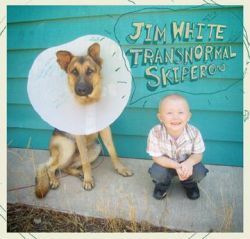 One of our very favorite troubadours of the new, weird, south, Jim White is back with Transnormal Skiperoo which has already been released abroad, and is due for a stateside release in the near future (March ’08). Drunkard correspondent, and Jim White super-enthusiast, J. Neas reports. I think everyone has a friend like Jim White. He’s the soft-spoken, deep thinking, laid-back amalgam of everything about where you’re from. He sees the dark and the light, the serious and the silly, the redemptive and the damning. And now, with Transnormal Skiperoo, only his fourth album in a little over ten years, he seems to have hit on something that fans of his will recognize as rare: contentment. Long saddled with the southern-gothic country label, White’s work has tendrils that snake out all over southern music. His work has not varied intensely from album to album, but each record has held its own identity. Transnormal Skiperoo is the first to harness together the lonely despair of Drill a Hole in that Substrate and Tell Me What You See, the child-like weird wonder of Wrong-Eyed Jesus and the genre-mash, ghost-haunted party of No Such Place. The results are illuminating and are evidence of truly gifted songwriting. The biggest sound shift on this record is the more prevalent use of r&b influences. Where No Such Place dabbled with beats and even turntable scratching, Transnormal Skiperoo delves into the more organic, with keyboards, vocals and blues guitar. “Blindly We Go” ambles along with laid-back percussion and warm keys, a falsetto chorus backing White. 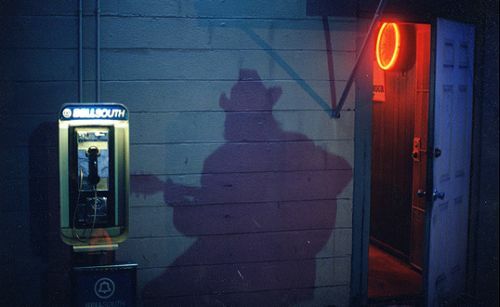 “Jailbird” has the similar blues lull – it begins with softly picked guitar and simmering cymbals, but it takes on a languid bass beat, giving the song the feel of a warm, Southern night spent contemplating ways to escape. “Diamonds to Coal” explores much the same territory, with White’s quasi-beat vocal delivery calling out that he’s done attempting the title action. The aforementioned contentment comes though in the overall feel of the album. His most recent effort, 2004’s Drill a Hole.. is a sonically grey album, but here White seems on the mend. “Crash Into the Sun” is the most rocking song he’s penned since “10 Miles to Go.” “Turquoise House” is the goofy side of White that recently seemed buried. Even album-closer “Long Long Day,” despite its title, is like something sung truly at the end of a beautiful day, not one of the album ending songs that often feel like the sun is just rising at the end of a dark night. There’s very little not to love for Jim White fans on Transnormal Skiperoo. It’s not a record that’s going to convert people, but White’s work is outsider music that is deeply universal. People who wouldn’t normally explore music that runs alongside him (see the documentary Searching for the Wrong-Eyed Jesus for examples) can find ways to connect with his writing. I’ve seen it happen and I know I’m not alone. It’s good to hear him back – he takes time between each of his records, enough that you start to wonder if he’s coming back. Now we have our answer – he’s not just back, he’s out in the sunlight. Glad you could make it, Jim. In re-reading this review, I want to state that it doesn’t really put across how much I really enjoy this record. Normally I listen to an album pretty heavily, at least 2 or 3 or more times, while writing a review, then let it go in order to move on to other listening/writing. I’ve continued ravenously devouring this record’s intricacies, and though I decided not to say this in the review, I’ve decided it really is White’s best album to date. No Such Place has always been my favorite up ’til now, but I think this eclipses it.